Q What is Speech Therapy? 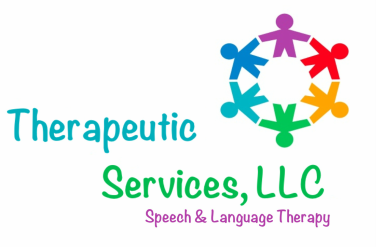 A Speech therapy is a service provided by a Speech-Language Pathologist that helps improve a person’s verbal and nonverbal communication skills. Depending upon the area of deficit, speech therapy may focus on improving several different areas such as: speech production; understanding language; expressing language; social skills; and, feeding or swallowing. Q How do I know if my child needs speech, language or feeding services? A Speech and language therapy may be needed for children whose communication skills (speech and/or language) are considered to be markedly behind those of peers. A child who is unable to express him/herself appropriately or who has difficulty understanding spoken and/or written language may benefit from therapy. A qualified Speech-Language Pathologist will be able to evaluate your child and determine if your child is delayed in areas of: speech, language, play, and/or feeding, and develop an appropriate treatment model for your child. Q What should I do if I suspect that my child may have a speech or language delay? A If you have concerns about your child's speech and language development, do not hesitate to address your concerns with your pediatrician. Request a referral to have Speech-Language Pathologist (SLP) evaluate your child to determine whether or not your child could benefit from services. If services are warranted, your SLP should present her findings and goals for treatment before beginning treatment. Q How long will my child require therapy? A Our ultimate goal is discharge. We will work with your child so that he/she will achieve goals in an appropriate manner. Prognosis may be difficult for professionals to predict initially. Research has shown that consistent speech and language intervention leads to positive outcomes in the development of children's speech and language skills. Each child is a unique individual with unique strengths and needs in therapy. Consequently, children are at different levels and progress at different rates. We will involve you in the therapy process every step along the way and encourage your questions. Q Do you accept private insurance? A We accept Blue Cross Blue Shield, Cigna, and United Healthcare. With other insurance providers, we do not bill insurance plans directly; however, we are able to create an invoice that provides both a billing code (CPT) and diagnosis code (if provided by your child's physician). You can submit these invoices to your insurance provider for possible reimbursement, as many plans will reimburse for therapy by a licensed Speech-Language Pathologist. Please contact your insurance provider directly to establish your benefits. Can Speech-Languge disorders affect learning? How can poor social thinking affect academic success?